Every band should have an illustrator on bass. For one, the bass player does half the amount of work as anyone else in the band, and therefore needs another way to pull their weight. 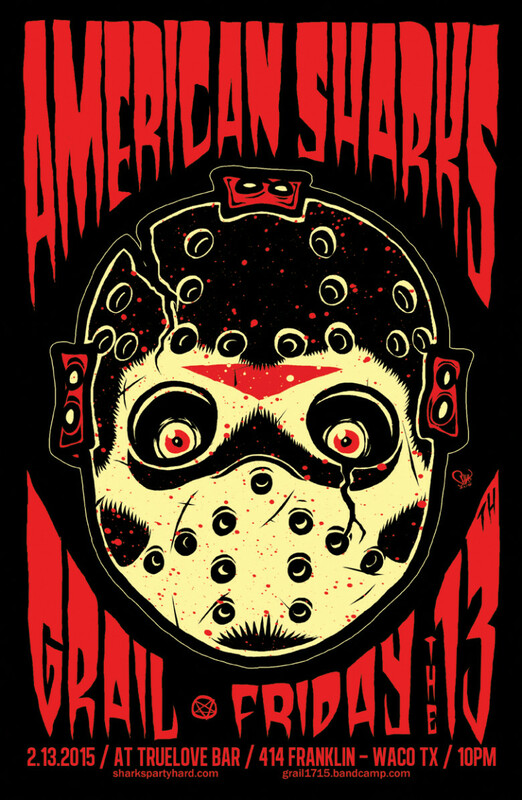 And secondly, too many bands wait around for someone else to make the promotional art for gigs. If you have a show coming up, MAKE A POSTER FOR IT! Or, better yet, get me to do it! Just don’t show up at the venue and ask, “Where are all the posters for our show?” when you did nothing to make it happen for yourself. DIY until we DIE. 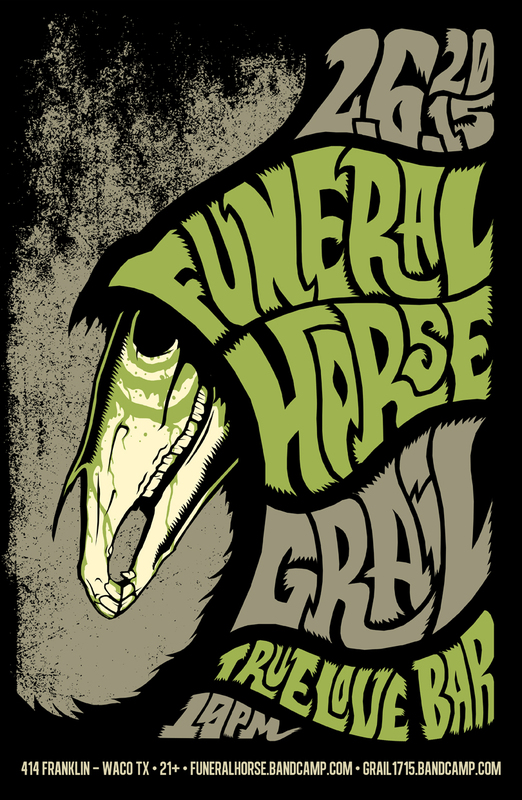 These were made for Grail‘s latest gigs with American Sharks and Funeral Horse.